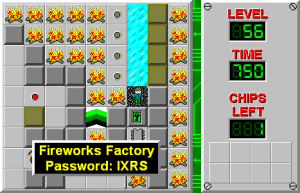 Fireworks Factory - The Chip's Challenge Wiki - The Chip's Challenge Database that anyone can edit! Open up this corridor above you to get the chip. All red buttons must only be pressed once. 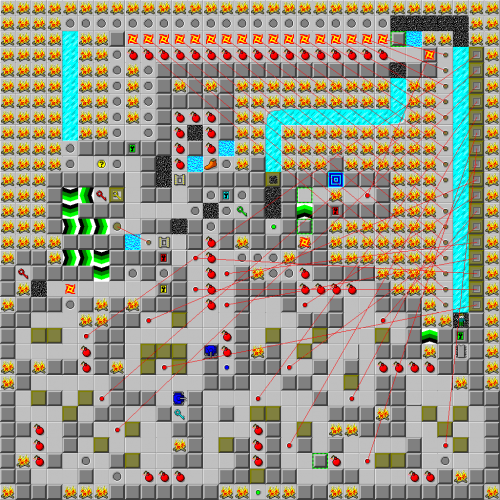 Fireworks Factory is the 56th level in Chip's Challenge Level Pack 4. It was created by Josh Lee. Its title is a reference to a level in the 2000 game Spyro: Year of the Dragon.